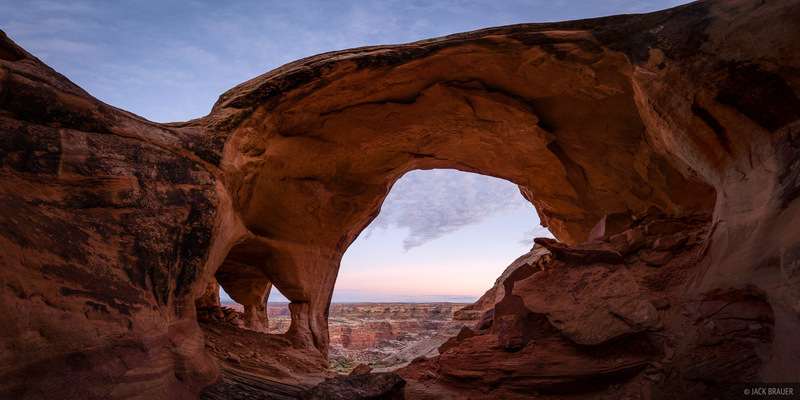 After some cold and snowy backpacking trips in the high mountains of Colorado in late September, we escaped to the desert of Utah for dry land and warmer weather. 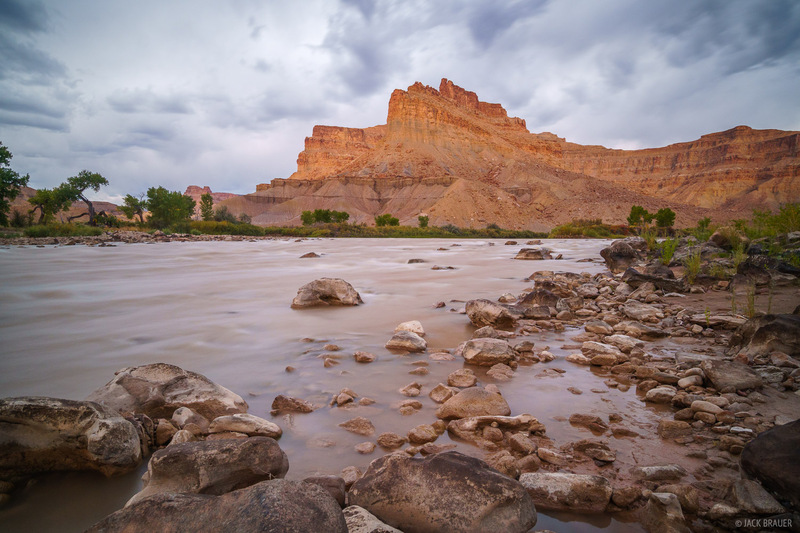 We spent a couple nights relaxing and hiking at one of our favorite spots on a remote plateau high above the Green River, then spent a night at Swaseys Beach just north of the town of Green River. This was a relaxing end to our two months on the road! If you look closely you might see our truck parked on this vast slickrock field. This plateau has an enormous view including the San Rafael Reef on the left to La Sal Mountains on the right. 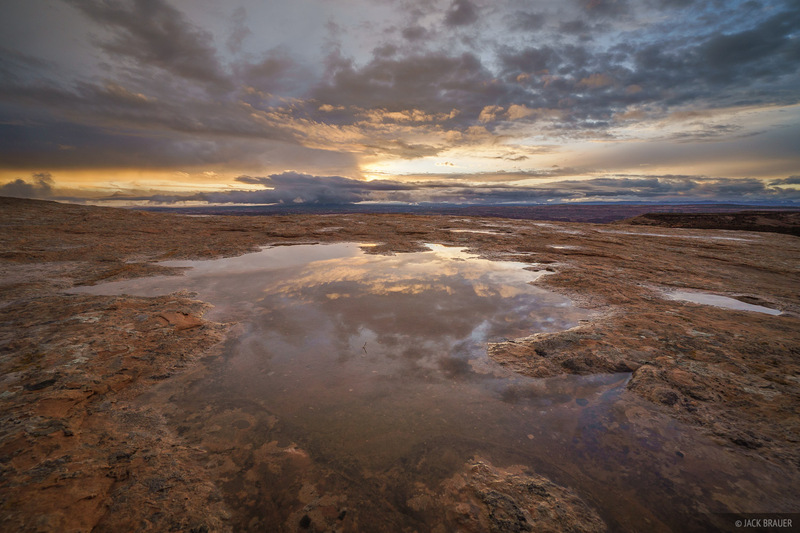 Sunrise reflection in a slickrock pothole after a rainy night in the desert. 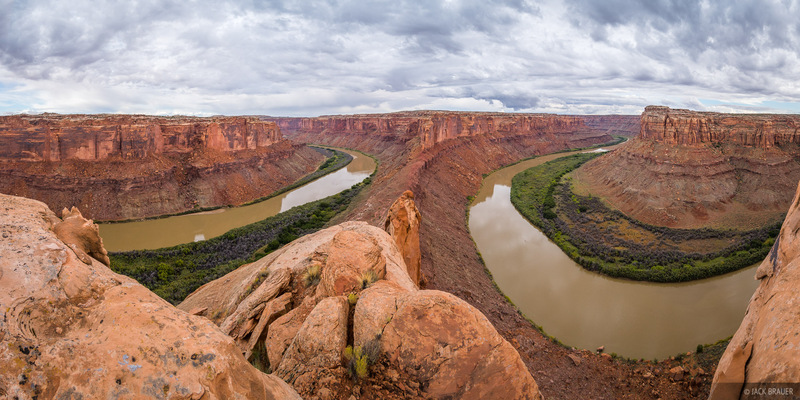 Overlooking a giant gooseneck of the Green River. The river flows from the left, curves around out of sight, then comes back on the right side. Posted in Canyons & Deserts and tagged Utah, Green River.